Unable to open a published aplication. "Failed to start remote apps" error appears. This issue occurs because of an authentication time-out issue that occurs when the Microsoft Gateway expects a response from the Network Policy Server during authentication. 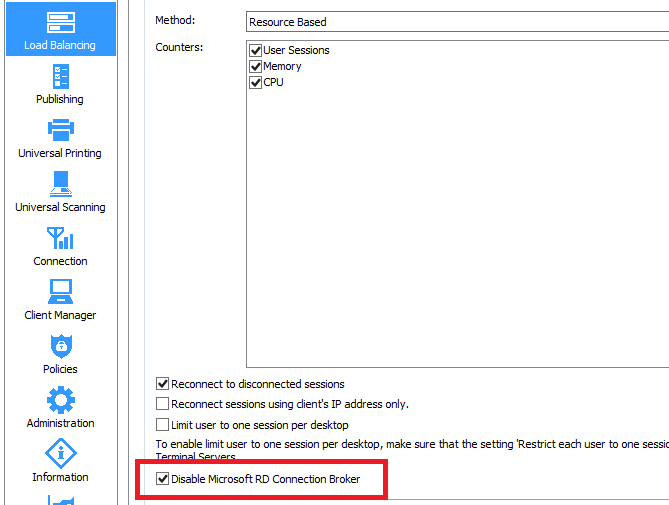 In Remote Application Server Console > Load Balancing enable "Disable Microsoft RD connection Broker" option and press Apply button.